Here on the final day of 2014, I thought it would be a nice cap on the year to share links to favorites of the past 365 days. Below you’ll find those posts which got a lot of comments or otherwise good response from you, plus some of my personal favorites. Wherever you are today, I hope your year went as well as it could have–and that 2015 will only be better. Is it best to “bloom where you’re planted” or seek different pastures? 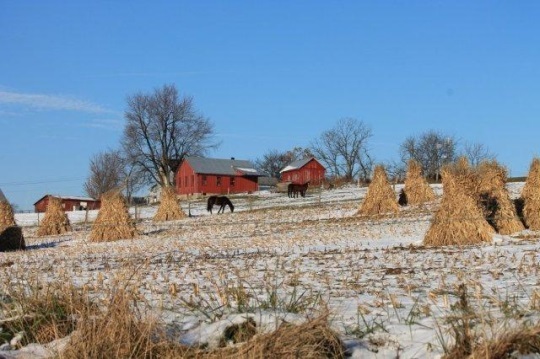 How did the Amish get into deer farming? 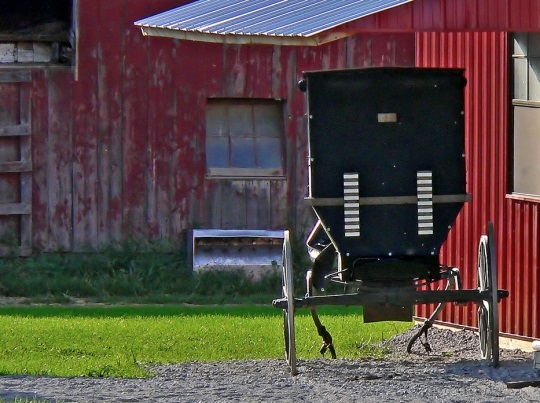 Why do criminals target the Amish? 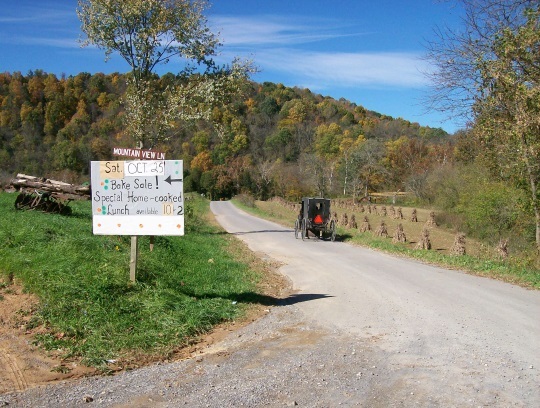 Why do Amish leave their communities? Are these Amish bank advertisements funny or offensive? Who makes Amish kick scooters? You had a great year. I enjoyed each of your posts even though I didn’t leave comments all the time. Look forward to 2015. Happy New Year to everyone. Thank you Lincoln Lady. It was fun to look back and review. I had forgotten about some of these posts and discussions. I trust Amish America will prove to be a continuing source of information and entertainment into 2015 and beyond. Yours is the first email I read every morning. Thank you for the educational posts. I especially enjoy the photos. Thanks for all you do – this website is full of interest, fun, and personality. I enjoy learning more about my Amish neighbors and getting to know the people on here. Whenever I see a post from Katie, Anne, Don, Mark, and others, I feel like I’m in a conversation with friends. 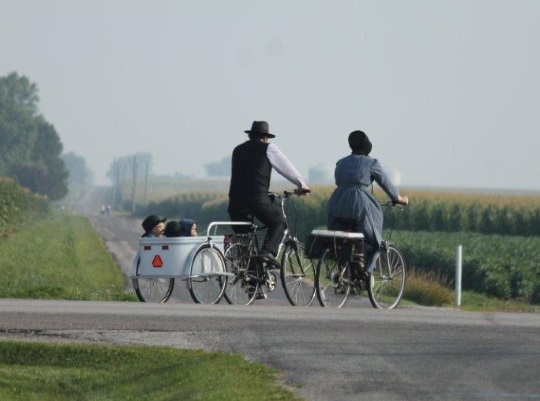 Here’s to 2015 and more Amish America! Thank you Rita. I like that it feels like a running conversation too. I look forward to seeing you around here in 2015! Quick question. Was the posts about “Rules of a Godly Life” a 2014 release, or was that 2013. I ask because I can’t remember if it was about the same time as the docu “The Amish” was released or after. Those posts was a highlight for me of the last 2 years regardles of when it came out. Thinking about it, I’m beginning to think it might have been 2013, but you guys might know better than me (that and I’m feeling lazy this NYE). 2012, huh, wow. Thanks Erik! Read ya in the new year! Thank you Mark. I sometimes wonder the same, though I’ve had the pleasure of meetings some of our contributors in person so I don’t have to wonder about them anymore 🙂 Wishing you a great 2015. You run a great site here. It is a real service for many people. Thanks for all the work and best wishes to you for 2015. Thank you Jim, it’s much appreciated. Same to you in 2015. I’m probably one of the ‘young’uns’ ’round here, at least when it comes to longevity as a visitor to this site. This time last year I didn’t even know about this place. It’s been a great year, Erik. Thanks for highlighting some of my pictures along the way, and esp. thanks for a great place to ask a lot of questions and get a lot of insight. I look forward to more of the same in the coming year! Thank you, Erik, for this wonderful site!! I don’t often comment, but I’m a pretty avid reader for about a year now 🙂 you do a great job here and I really enjoy the look into the Amish lifestyle I’m so fascinated by, thank you and happy 2015 to you!